Are you a blogger that loves to read? Here’s an opportunity for you to review books on your blog. 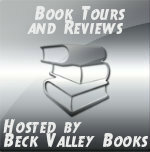 If you’re a book reviewer or a blogger who loves to read, Beck Valley Books are currently looking for more reviewers for their book tours online. At the end of the tour they nearly always have a giveaway, which 2 of your social media links are included on the raffle copter, the giveaway post HTML for your blog is sent to you to promote on your blog and social media when it’s starts. What’s more your getting a chance to read some great books, helping up and coming authors as well as gaining extra exposure on your blog. I’m one of their reviewers myself and we have a friendly Facebook group to help each other out on the tours or to catch up with tour updates. « Win Prizes with UPS My Choice!